At Stattonrock Homes, we know that choosing the right custom home builder is one of the most important decisions you will make when it comes to your custom home. That is why we want to help you choose a custom builder that will bring your dream home to life. Here are some simple tips on how to choose the right custom home builder. The first priority when choosing a custom home builder should be the quality of their work because the last thing anyone wants to worry about are repairs, especially repairs to critical structural systems that may be difficult and costly to fix or upgrade later. When choosing a custom home builder, make sure to ask to tour past projects, check references, and question the builder about structural materials. The key to a long-lasting home is a solid foundation throughout, so make sure that the home builder is using high-quality products for everything from the countertops down to framing. While narrowing down the search for a home builder can be overwhelming, a good place to start is by looking at the location of your future home. From there, it will be easier to browse for builders and past floor plans. Word-of-mouth and consulting with friends and family who have already built custom homes are also essential when it comes to creating a list of potential custom home builders. Some of the best custom home builders in the business offer full transparency to clients and are more than happy to answer every question from the start of the process right up until the end. Good custom home builders should give you a timeline and a comprehensive estimate for the project in a timely manner, as well as provide you with an in-depth understanding of their philosophy and products. Steer clear of builders who have trouble answering basic questions clearly. Finding a custom home builder who is easy to connect with and takes the time to listen to your questions and goals will go a long way in bringing the vision of your custom home to life. A good custom home builder will work hard to understand what products and design will best fit your lifestyle by figuring out your needs and wants early in the process. If a builder takes a long time to respond, it might be an early sign that you will experience frustration with communication throughout the build. Try to find a custom home builder who responds promptly and makes you feel as if you are their only customer. 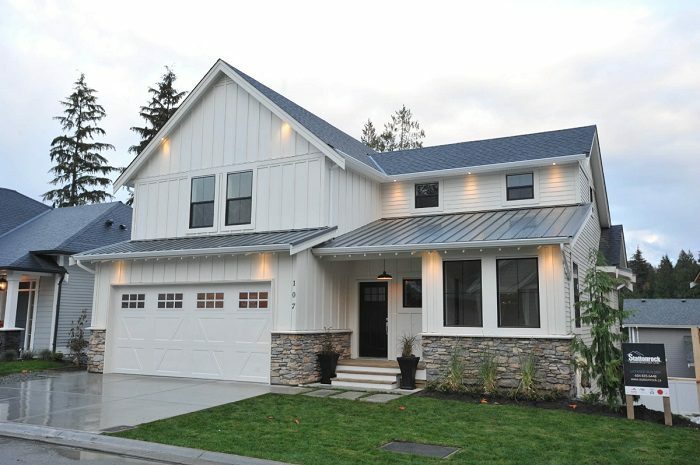 If you would like a complimentary consultation to learn about our design and build services, please contact Stattonrock Homes at 604-624-0100 or via email.